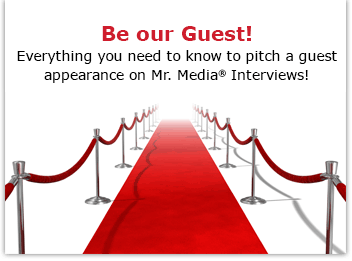 Mr. Media is recorded live before a studio audience of not-exactly-comics-scholars who will comb through every line of this interview in search of mistakes, double meanings and buried Easter eggs… in the NEW new media capital of the world… St. Petersburg, Florida! 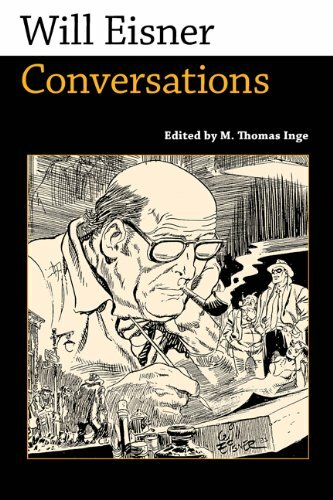 Order Will Eisner: Conversations (Conversations with Comic Artists) edited by M. Thomas Inge from Amazon.com by clicking on the book cover above! Tom Inge has made a cottage industry of collecting the best interviews done with a variety of pop culture figures of the 20th century and bringing them out in book form. All told, he’s responsible for a remarkable 40 books, putting together volumes featuring as diverse a crowd as “Peanuts” comic strip creator Charles Schulz and American literary lion William Faulkner. His latest collection is familiar ground for me: Will Eisner: Conversations. It’s a book that covers that depth and breadth of the late American master of comics’ entire eight-decade career and is a great companion piece to my own 2005 authorized biography, Will Eisner: A Spirited Life. In fact, I first read many of the interviews in Inge’s book either at Eisner’s suggestion or discovered them in the file cabinet of his Florida studios. If you considered yourself any kind of student of comics history, this new book is one you’ll definitely want on your bookshelf—in a sealed Milar bag, of course. Inge, by the way, is the Robert Emory Blackwell Professor of the Humanities at Randolph-Macon College in Virginia. Let that be a lesson to you fanboys still living in your mother’s basements: you can get a real job in the world and still love comics.